Copyright © 2012 Dr Jon Heras. This image is available for purchase, but with some restrictions on reuse. 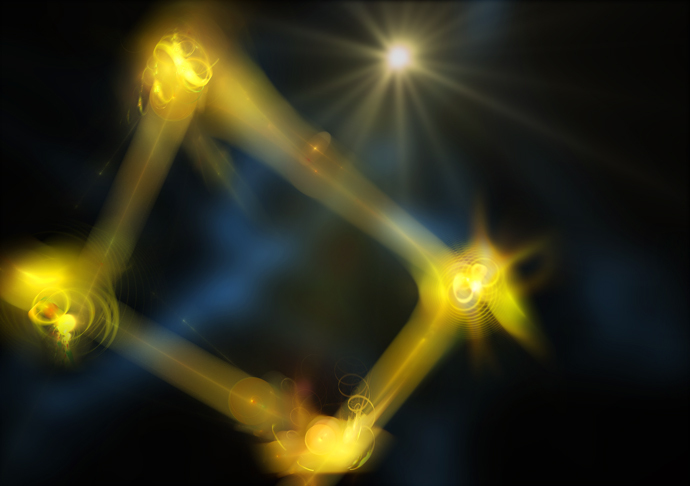 Dr Jon Heras DescriptionThe image shows a cluster of four entangled photons, which form the basis of quantum computing.